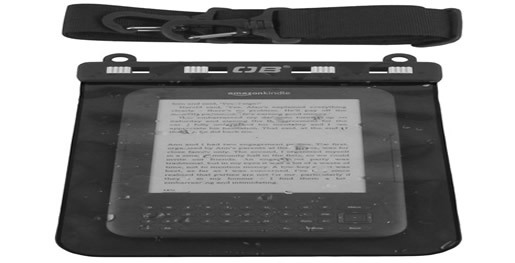 The Overboard waterproof kindle case offers guaranteed 100% waterproof protection for your tablet. Take your waterproof eBook reader case to the beach or pool. It offers complete use of your tablet whilst keeping it safely sealed away from the water. Complete with a handy shoulder strap our waterproof eBook reader case lets you carry your tablet easily where ever you go. The Overboard waterproof kindle case has a clear front so you can use all the touch screen functions and seals tightly with the Slide Seal System, making it guaranteed submersible to 19ft. 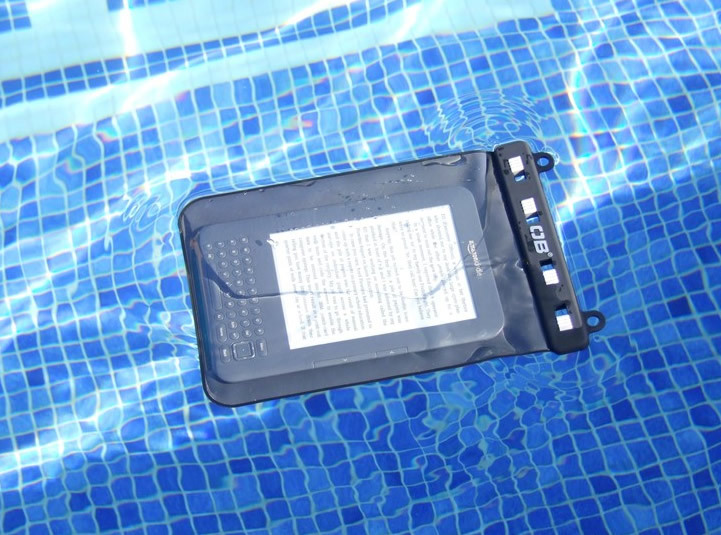 The waterproof kindle case will float to the top of the pool so you can get it back quickly if you drop it in the water. This Overboard kindle case easily fits other similar sized computer tablets. Specifically designed for eBook readers, Amazon Kindles and small touch screen tablets like the Samsung Galaxy. Dimensions 15cm wide by 20cm long.